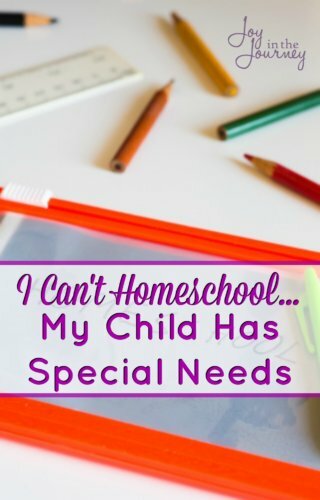 Think you can’t homeschool because your child has special needs? One blogger shares 5 reasons why you can homeschool your special needs child! Don’t miss #2! 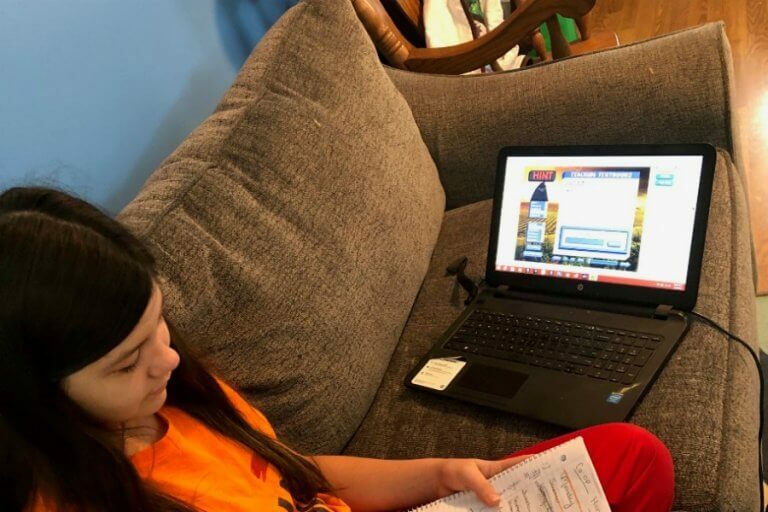 Today’s I Can’t Homeschool post is from Katie at My Sweet Homeschool. She is sharing how you CAN homeschool a child with special needs. Thank you Katie! Do you have a child with special needs? Me too. In fact, I have two of them. Twin boys, both born with special needs due to birth trauma, and they are homeschooled. This is their 6th year of homeschooling; having started their homeschool journey when they were in the 4th grade. 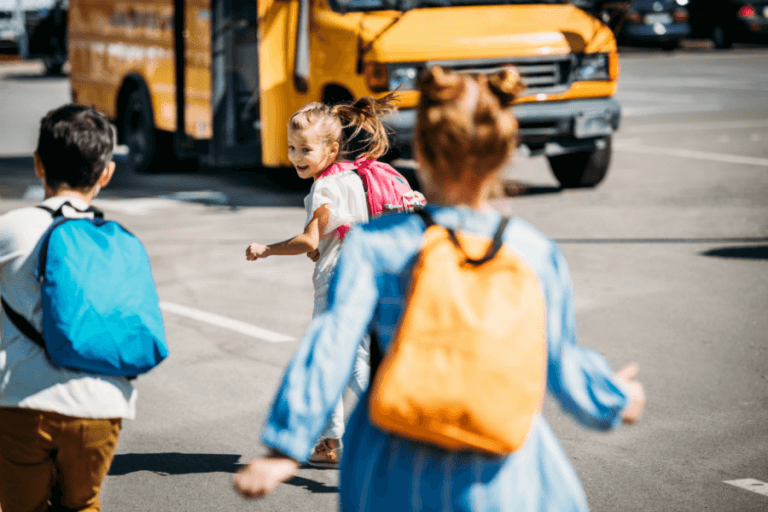 While I discuss the reasons we chose to pull them out of public school to homeschool them along with their three little sisters in this post, I want to talk to you today, friend to friend about how I know you can successfully homeschool your child with special needs too. Just like I am doing. You can do it. 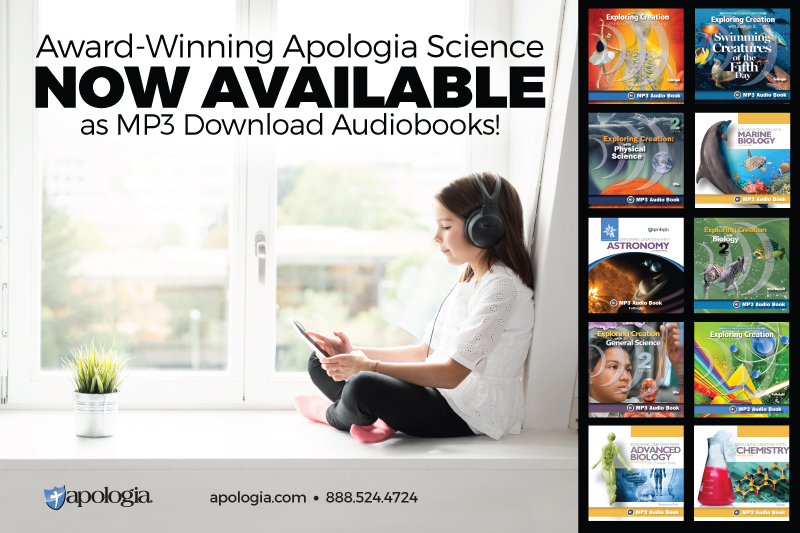 If you want to homeschool that sweet blessing, you can. I had a lot of doubts when I started homeschooling the boys. Could I do it? Could I give them what they need? What about my needs? Could I be their mom and teacher? Those two jobs together equaled a 24/7, 365-day position. I’m going, to be honest with you, it’s not for everyone. 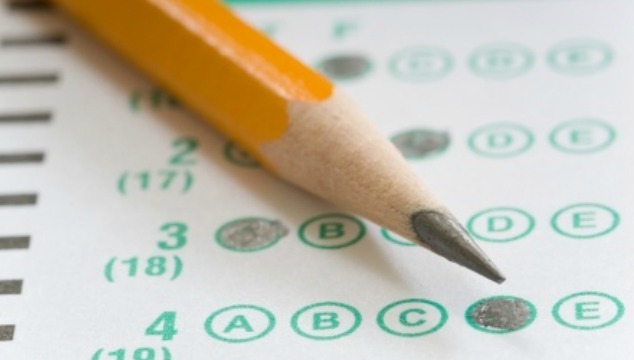 There are some disadvantages to homeschooling a child with special needs. But for today, I want to share with you 5 reasons why you can totally do it. And as I am not just a homeschooling mom of two boys with special needs, but also a pediatric Speech-Language Pathologist, I can talk to you with some authority on this subject. No one knows how your child learns better than you. Is your child a visual learner or does he learn by doing? 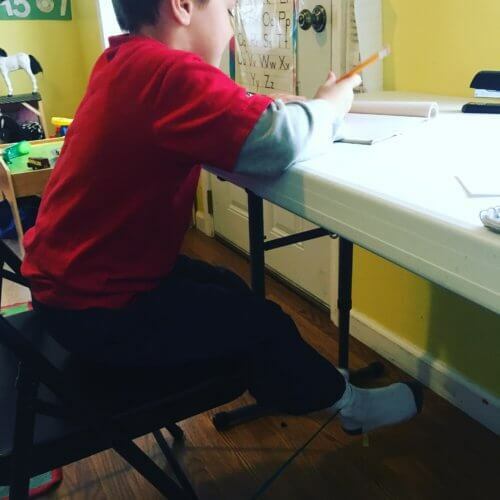 Does he stay on task better when allowed to stand or sit? You have the advantage to be able to present the material to your child in the way you know they will learn it best when you homeschool. Your child can be taught 1:1 via his particular learning style. Kids in public classrooms don’t get that. No one knows your child’s diagnosis more than you. This is particularly true if your child has a syndrome or multiple things going on and not just a blanket diagnosis (autism, for example). But even with one well-known diagnosis, you have been reading about it, studying it, living, eating and breathing it since diagnosis day. You may not be the foremost expert in the world on autism, but you are the foremost expert on your own child. Therapies and other adjunct services are available outside the public school setting and you will spend less time on a waiting list for therapies when your child is available, times other than the prime after school hours. For our particular homeschool decision, our twins who had been on a waiting list for over two years for after school therapists had therapy going again within two weeks of me starting to homeschool them as they were now available in the morning for ST, OT and PT. (**We live in a state where therapies for special needs children are provided free of charge and I am also a speech therapist myself). 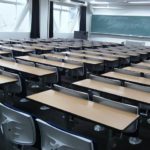 If you live in a state where you would be responsible for all therapies if you began homeschooling, or if your medical insurance doesn’t cover them (many don’t) that is information you need to know before making your final decision as therapies paid for out-of-pocket can be pricey). Your child’s social skills issues will probably get better, not worse with homeschooling. We have all read the research…homeschooled children are shown to have better social skills (not worse) than their public school peers. Same goes for special needs children. If you want your child to have good social skills, they need to be in an environment where good social skills are modeled consistently. This is typically not found in a special needs classroom, where children of different levels and abilities are often lumped placed together. Also, with a certain diagnosis like Autism, where sensory issues are involved, a loud, fluorescent lit classroom filled with various people, sounds, and smells, is sensory-overload…not the best platform for desired behavior to build. 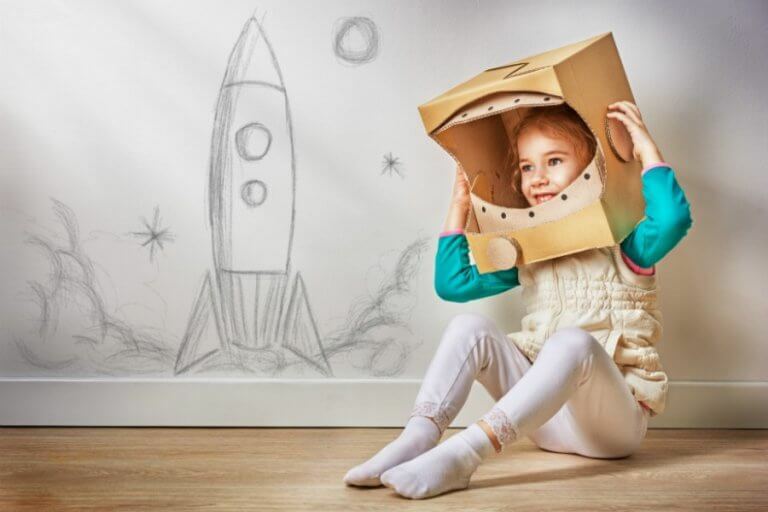 You know what your child likes so you can spend more time on areas of interest for your child–curriculum geared for your learner! My son Sean loves trains. It is crazy all the ways I have used trains over these past few years to teach everything from science to social studies, to grammar, to math! We have spent extra time on theme units that were initially unplanned because it sparked a desire to learn that I didn’t foresee. Homeschooling allows for this flexibility. Another bonus? 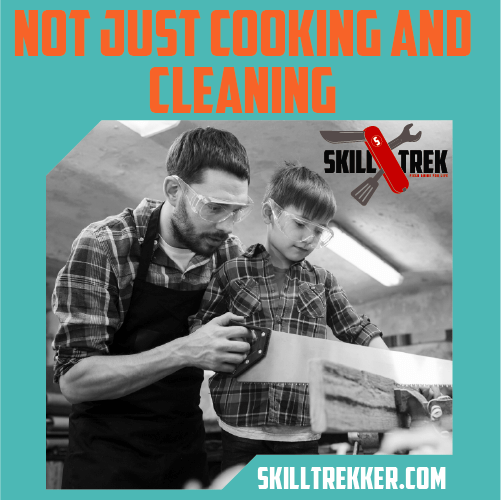 You can teach life skills as a curriculum subject. Would you like to know 6 MORE reasons why you can do it? Check out this post for 6 more advantages on homeschooling a child with special needs! Lastly, even homeschools where every student is typical has less than perfect days. There are no perfect moms. There are no perfect kids. 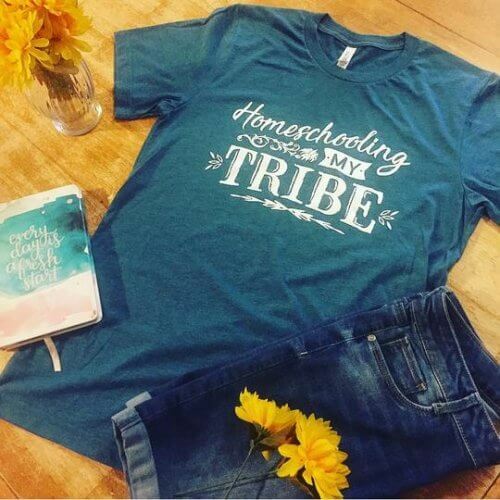 There are no perfect homeschools. And that is the way it is for everybody. Have confidence in your ability to know what is best for your child. 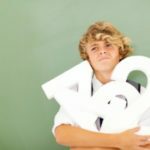 Know that there are unlimited resources now that weren’t available to parent’s making this same decision 20 years ago, like blogs geared specifically to homeschooling special needs children and Pinterest boards offering great teaching and therapy at home ideas. 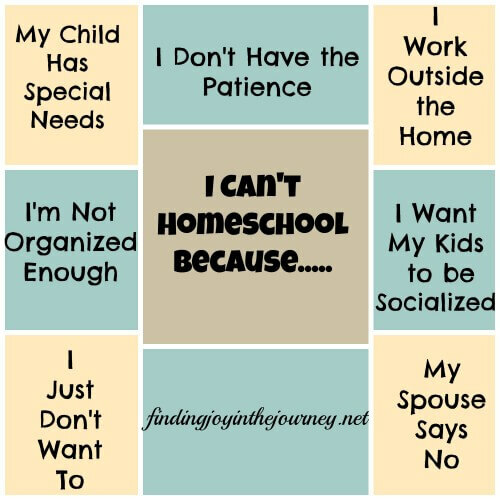 If you are really feeling led to homeschool your special needs child, you can! You have totally got this. Katie Sullivan, M.S., SLP-CCC is a homeschooling mom to five children ages 4-14, including identical twin boys with special needs due to birth trauma. 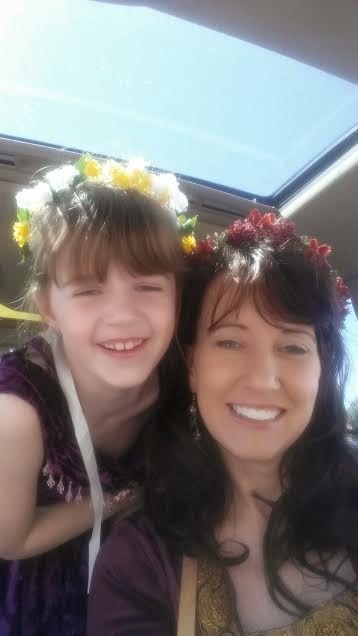 She has been a pediatric Speech Language Pathologist for 19 years and pens the Waldorf inspired homeschool blog, My Sweet Homeschool, where she shares homeschooling help, speech-language tips, and help for moms homeschooling children with special needs. When Katie is not homeschooling, she is busy working on transforming her property into an urban farm; one that includes a flock of backyard chickens named after Pride and Prejudice characters. You can connect with her on facebook, twitter, and instagram. Thanks for sharing such a great blog!! I have no experience with children with special needs but it great to know the points which you have made out. Thanks for sharing such great blog keep writing such wonderful blog. This post is spot on! My child with autism has thrived due to being homeschooled and his social skills took off once he could play with kids closer to his developmental age. Thank you for sharing your experience! I am SO glad your son is doing so well! I have two kids with speech language needs, I appreciate hearing from Katie and look forward to checking out her blog- thanks! Wonderful post yet again! I don’t have a child with special needs but I can see how this might deter a parent from homeschooling. What wonderful things you’ve pointed out here. Thanks for sharing. I’m pinning this!